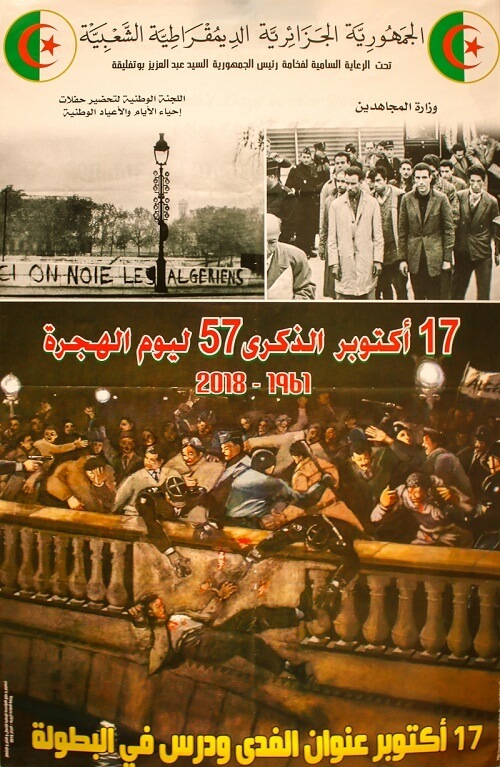 The Consulate General of Algeria in New York is pleased to inform its community members that it will be commemorating the 57th anniversary of the National Immigration day on Wednesday, October 17, 2018 at its headquarters. Commemorative photos and historical documents exhibition. Screening of videos and documentary films about our Glorious Revolution from 9 am to 5 pm. معرض لصور تذكارية و وثائق تاريخية حول الثورة التحريرية من 9 صباحاً إلى غاية 5 مساءاً. عرض متواصل لأشرطة فيديو و أفلام تاريخية.